This entry was posted in Humor, Range Hoods and tagged Edward Cullen, funny, Halloween, Happy Halloween, humor, kitchen, range hood, range hoods, range hoods inc, Team Edward, Twilight on October 31, 2014 by editor. Our range hoods will moo-ve you! This entry was posted in Range Hoods, Wall Mount Range Hoods and tagged appliance, funny, humor, kitchen, range hoods, range hoods inc, wall mount range hoods on October 24, 2014 by editor. The fridge can be one of the scariest areas in a kitchen. Without proper cleaning, the mess begins to add up. A part of keeping a kitchen organized, which we went over in Tips for Organizing a Small Kitchen, is keeping the fridge clean. Besides being a nightmare, your fridge won’t work as well if there’s too much food in it. Throw out expired items and condiments you never use. Always throw out spoiled leftover and old takeout containers. Write the date you bought it on the container to remind you when it’s too old to keep. For optimal food storage, keep your fridge at 40 degrees Fahrenheit and your freezer at 0 degrees Fahrenheit. Even though there’s one temperature setting for your fridge, remember that different areas of the fridge vary in temperature. That’s why you should never keep milk or eggs in the fridge door, which is the warmest area. The bottom of the fridge is the coldest; keep meat, seafood and eggs near the bottom. Foods to keep at the top of the fridge include precooked food and leftovers. 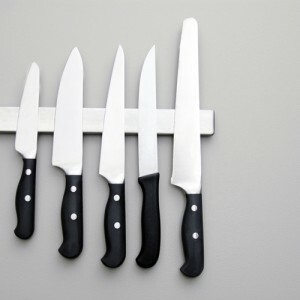 Keep raw meat separate and isolated from other foods to avoid spreading bacteria. Make sure to keep raw meat on top of plates because it could drip onto the fridge shelf. Also keep fruits and vegetables separated in the fruit and veggie drawers. As fruits ripen, they release ethylene, which causes vegetables to spoil more quickly. Therefore, don’t put them together. Additionally, don’t wash fruits and vegetables before storing in the fridge unless you’re going to dry them. The moisture makes them spoil faster. To make herbs last longer, kepe them upright in a jar with water. Cover the jar with a plastic bag. Tomatoes – Keep these on your counter. Potatoes – Keep these in a cool, dark place. Honey – Leaving it in the fridge will cause it to crystallize. Bread – Putting bread in the fridge will dry it out. Avocado – Unless it’s ripe, don’t put it in the fridge. Onions – Keep these in a cool, dark place. Lastly, keep your freezer organized by putting food in containers and stacking them, and don’t store food on the top of the fridge. The top of the fridge is warm from the condenser pumping out warm air. Good luck keeping the fridge cleaner with these tips! This entry was posted in Cleaning the Kitchen, Kitchen Tips and tagged food, fruit, Meat, refrigerator, Shelf life, vegetable on October 21, 2014 by editor. Are you ready for Halloween this year? Range Hoods Inc is! Don’t let the Cavaliere-Euro AP238-PS09-30 30″ Wall Mount Range Hood give you a fright. 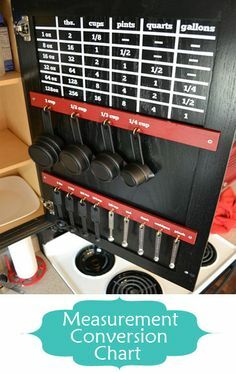 This entry was posted in Humor, Range Hoods, Under Cabinet Range Hoods and tagged funny, Halloween, humor, kitchen, range hood, range hoods inc, scary, under cabinet range hood on October 17, 2014 by editor. Who Needs a Mars Rover? Who needs a Mars rover when you can have a range hood rover? This entry was posted in Range Hoods and tagged Cavaliere range hood, funny, humor, Mars rover, range hood, range hoods inc, rover on October 10, 2014 by editor. The Range Hoods Inc Ghostbusting tech team! This entry was posted in Humor, Range Hoods and tagged funny, Ghostbusters, humor, range hoods, range hoods inc on October 3, 2014 by editor. For our last tech post, we reviewed a smart crock pot in Kitchen Tech Tuesday: Crock-Pot WeMo Slow Cooker. Today, we’re looking at Greek yogurt makers. Greek yogurt is a popular health food item right now. What is Greek yogurt? It’s basically the strained version of regular yogurt. You can make Greek yogurt by straining normal yogurt with a cheese cloth or fine colander. Liquid, whey, lactose and sugar is strained out of the yogurt. Greek yogurt is a healthy food choice because it contains more proteins, less sugar and fewer carbohydrates than the normal version. It’s also a vegetarian food. Dash Greek Yogurt Maker – This yogurt maker has a low price tag of $22 on Amazon, or at $37.99 for the white unit. To use the Dash Greek Yogurt Maker, scald five cups of milk and add one third cup of a starter yogurt. Remember to include any flavors you’d like and to preheat the yogurt maker. Pour the milk mixture into the yogurt maker and set the timer. When the timer goes off, strain the yogurt until you have Greek yogurt. 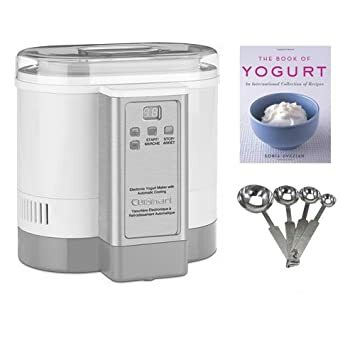 Cuisinart CYM-100 Electric Yogurt Maker – This is a more expensive appliance with a price tag of $114.41 on Amazon. It holds up to 50 ounces of yogurt. The user puts the milk, cultures and the flavoring into the unit and presses start. It takes only six to eight hours and will automatically begin chilling the yogurt when it’s done. This is a huge convenience because you don’t have to be home to move the yogurt into the fridge when it’s done. This appliance also looks sleek and is made of stainless steel. EuroCuisine GY50 Greek Yogurt Maker – This product is more of a yogurt strainer than a yogurt maker. For $25, this yogurt maker holds up to two quarts of yogurt. The yogurt is poured into the strainer and the whey runs off into the plastic container. This EuroCuisine product is BPA free. Be careful while washing it, because the mesh is very delicate. This unit does save you from having to clean a colander or cheese cloth each time you make Greek yogurt. Is a Greek yogurt maker worth it? It depends on how often you make yogurt at home, how much yogurt you eat and how much yogurt you use in your cooking. If you use a lot of yogurt, then you may save money by making your own at home. Using a yogurt maker can make the process much more convenient. This entry was posted in Cooking, Food, Kitchen Tech and tagged Cheesecloth, Colander, food, Grocery store, Slow cooker, Strained yogurt, Whey, Yogurt on October 1, 2014 by editor.